This was an interview (April 12, 2014) conducted by Juliana Swanson for the May issue of Jyotish Star emagazine. Juliana Swanson: Is Annand your real name? And are there any other astrologers in your family? 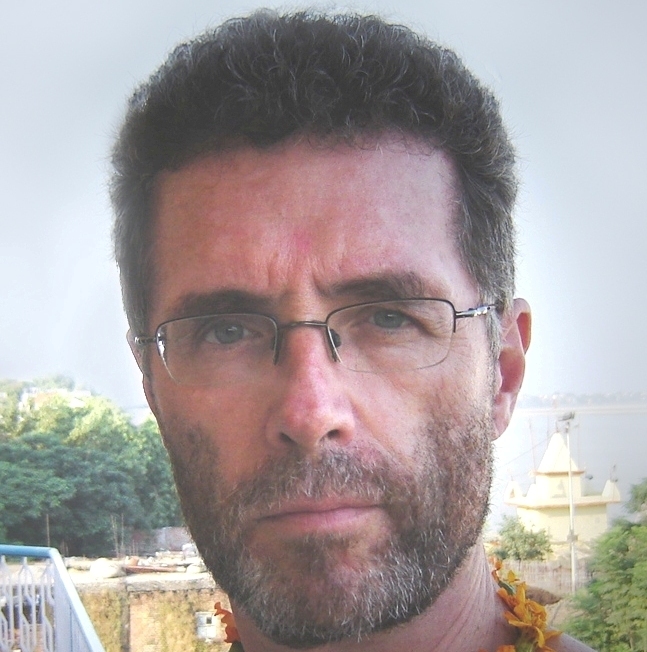 Alan Annand: In my social circles – Jyotish, Ayurveda and Hasta – a lot of people ask about my name because it sounds so much like the Sanskrit suffix (meaning bliss, or joy) frequently added to the names of paramagurus like Shivananda, Yogananda and others. But Annand is also a Scottish surname with origins in Annandale bordering Scotland and England. Story has it, my ancestors were kicked out of the UK for stealing the King’s sheep. So there are no astrologers in my family tree, just a few night-shift entrepreneurs lurking under it. Juliana: Where did you grow up, and what brought you to astrology? Alan: I grew up in small-town New Brunswick, a part of Atlantic Canada much like Maine. Right after graduating from university I discovered Jess Stearn’s A Time for Astrology, which covered chart calculation and basic interpretation. I was hooked on the spot, mostly because my chart said I might be a writer. Juliana: Were you a writer at the time or was this an aspiration? Alan: A dabbler with literary ambitions, but definitely not “pukka” [Hindi, “cooked, ripe, fully formed]. Juliana: OK, so from Jess Stearn, what was your next step? Alan: In the absence of local classes, I sought a correspondence course. The British Faculty of Astrological Studies (FAS) offered a rigorous curriculum. I did two years of distant learning and spent a third year in England, meeting weekly with my British tutor, writing assignments and prepping for 16 hours of Diploma exams. Juliana: What year did you complete your exams? Alan: That was 1980. Afterward, I returned to Canada and moved to Montreal, where I began teaching two classes a week. After a few years our Montreal group teamed up with Ottawa and Toronto to host three-city tours for big name western astrologers, like Jim Lewis, Liz Greene and Noel Tyl. I accepted an offer from the FAS to be their North American tutor for correspondence students in Canada, USA and Mexico. Meanwhile I was building my practice, doing local radio and TV, speaking at conferences. But despite this level of activity, for a year or two I’d been thinking, western astrology doesn’t work as well as I’d expected. Alan: I thought it reasonably capable of delineating character, even though I later found that Jyotish was more thorough. But where it really fell short of my expectations was in prediction. Progressions and transits just didn’t deliver the goods. Only later did I realize how well Vedic astrology’s planetary periods set the stage for the triggering effect of transits, and thus enabled predictions that would otherwise have been unthinkable using western techniques alone. Juliana: At what point did you find yourself interested in Vedic astrology? Alan: I browsed a book on Hindu astrology while in England, but it seemed impenetrable at the time. On my birthday a year later I was given James Braha’s Ancient Hindu Astrology for the Modern Western Astrologer. Intrigued, I used my western software to calculate my sidereal chart with whole-sign houses. When my ascendant changed from Leo to Cancer, and my Moon from Sagittarius to Scorpio, I was appalled. My western chart was mostly fire, and I identified so strongly with the element that I hated the idea of slipping into the waters. I set the book aside. Juliana: How did you eventually make that shift? Alan: Months later I returned to it. As a western astrologer I’d always been interested in technical components, especially the less-common techniques. I quickly found myself fascinated by Vedic astrology’s different aspects, its yogas and planetary periods. I attended an ACVA conference in San Diego, returning home with Parashara’s Light and a suitcase full of books. At the conference someone had said, as a Canadian I must know Hart DeFouw. When I got home I located him in Toronto and scheduled a consultation. After that, I was on the path. Sensing Jyotish was more capable than western astrology, I immersed myself in its study. Juliana: I’m curious how you managed to change from seeing yourself as a fire person in western astrology to a water person in Vedic astrology. What did you have to adjust in regard to your understanding about the elements, or even perhaps in regard to your self-image? Alan: Well, in all fairness, I didn’t have to give up too much. In western astrology I had the ascendant and six out of nine planets in fire, whereas in Jyotish I have the ascendant and Moon in water, but still five planets in fire. But for the most part I’m an introvert, so to have both lagna and lagnesh in water makes a lot of sense. Juliana: And how did you transition professionally? Alan: For a year I prepped twice for every client – a Faculty-trained western analysis, and a self-taught pro forma with Jyotish. After attending a workshop with Hart, I told him I was interested in more. Apparently I wasn’t alone. A year later, he launched his trilogy of foundation, intermediate and advanced courses, which I attended in Albuquerque. Later, I attended most of his specialty courses in San Francisco. Along the way I also got my level two certification from ACVA. Juliana: Have you always been an astrologer, or did you have any former profession? Alan: During university, I lacked direction but was committed to finishing what I started. I ended up getting a BA in English Literature and a BSc in Math & Physics. I started writing novels in my mid-twenties and worked sporadically in the mining industry to support myself. I sold my first novel at age 29. I got married the following year and became a father five years later. Then I had to get serious and get a real job, which turned out to be a technical writing contract with Canadian National Railway. That turned into a human resources career and 16 years in the corporate world. But at the end of the 20th century I quit and went bungee-jumping with my career, intent on being a full-time hyphenate: astrologer-writer. Juliana: What teacher(s) inspired you, mentored you, or have been your strongest support along the way? If my house ever caught fire, after rescuing my wife and dogs, I’d go back for my notebooks from Hart’s classes, the most valuable things in my library. You can buy books, but you can’t find books with this much useful information in them. Outside of class, Hart’s also been a great sounding board and critic for things I’ve written, including the first thesis ever submitted for ACVA Level II certification, and various articles. Juliana: Are there any other teachers you would like to mention? 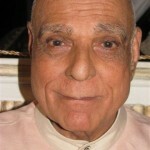 Alan: While still living in Montreal, in 2002 I started doing monthly readings in Toronto, where I found Hart’s guru, Mantriji, giving satsang at a yoga studio. From then on, I saw him every time I visited, and eventually he encouraged my move to Toronto. 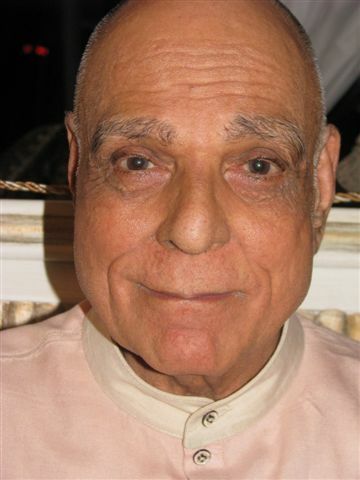 For seven years I attended satsangs, became his frequent chauffeur and enjoyed much discussion of Jyotish, especially KP, of which he was a brilliant practitioner. He has since returned to India, but I was blessed to spend that time with him. Juliana: What advice would you give to students of Vedic astrology? Alan: Find a good teacher. Smart as you might be, it’s impossible to resolve the complexities of Jyotish without someone who really knows it. Even if there’s no one qualified in your area, find a distance tutor if necessary to help develop a solid pro forma for chart analysis. Re-read the best books. Take notes, because writing things down embeds key principles in memory. And do lots of charts, especially people with distinguishing characteristics, whether beauty or poor health, wealth or poverty, artistic talent or criminal behavior. Observe people and the world becomes your classroom. Become an astrologer and you’ll never want to retire. Juliana: Please tell us a little bit about your writing/books. Alan: In high school, I wrote poetry and songs. In university, I wrote student journalism under my byline and weird stories under the first of many pseudonyms. After college I started writing terrible novels to burn. I got through many Canadian winters that way. Eventually I wrote one good enough for New York, and was published at age 29. Juliana: I understand you are a prolific author. Alan: So far, I’ve published nine novels. I have a Martian streak, so it’s mostly crime fiction. Aries plays out in action and adventure, Scorpio in mysteries and the occult, for which I’ve always had a great fascination. 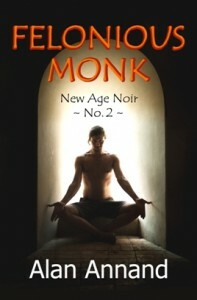 Juliana: I am a personal fan of your New Age Noir series. Alan: That series is very dear to my heart, written for my tribe of astrologers, palmists, New Age readers of every kind, and mystery-lovers. 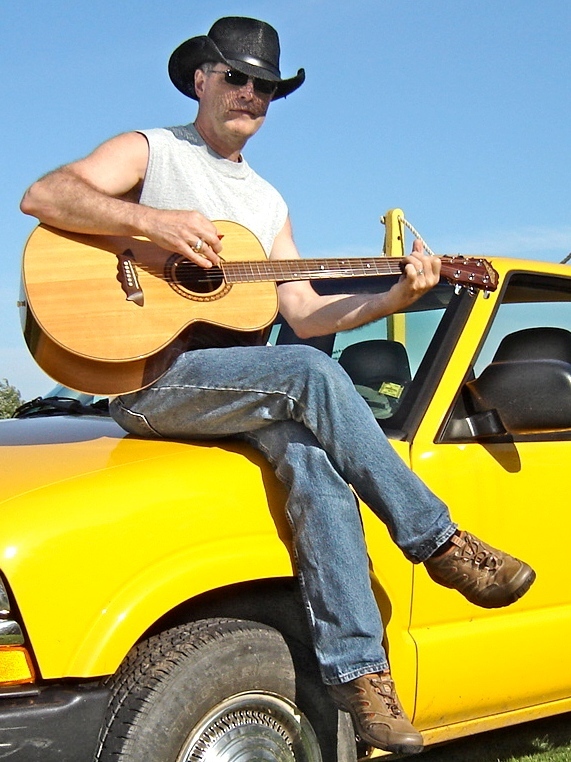 The series hero, Axel Crowe, is an homage to Hart DeFouw if he were a private investigator, with the added bonus that he can drive a car and play guitar. 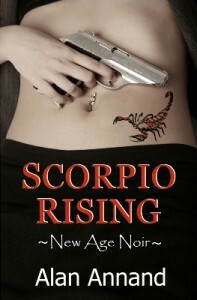 Scorpio Rising came out in 2011; Felonious Monk in April 2014; and Soma County will come in 2015. Juliana: Can you tell us about your other writing. 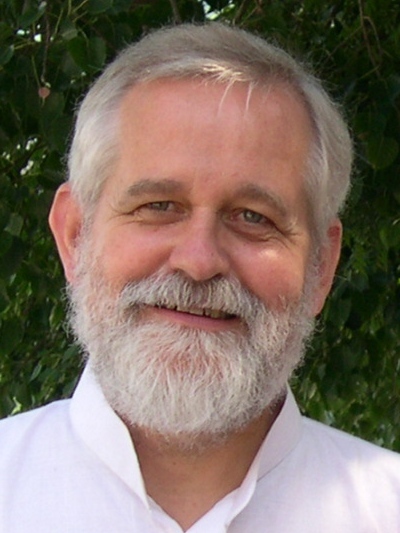 Alan: I also write about Jyotish, usually a monthly article for my website. I’m writing a book on Parivartana Yoga, expanding on the ACVA thesis I wrote years ago. I’m also writing a book on serial killers, using KP to identify periods of violence. The FBI hasn’t yet offered me a job in their Behavioral Analysis Unit but, according to my bhukti sequence, I might join Criminal Minds in 2015. Juliana: What is it in your natal chart that reflects writing as well as your wonderful sense of humor? Alan: I have at least a few of the signatures for a writer: lagnesh in the 5th house; a strong 2nd house lord in the 10th; Mercury and Jupiter in kendras; and the lords of the 1st, the 5th and 10th in Mercury nakshatras. The rest of it we’ll have to blame on tricky genes and an enlarged funny bone. Juliana: Are you also in private practice as an astrological consultant and/or tutor/teacher? Alan: I’ve been doing readings for over 30 years and consider it an art, a science, a duty and an ongoing dialog with humanity. I get great feedback so I guess it’s a win/win thing. I also give classes in astrology and palmistry, and tutoring in Jyotish. I’d like to do more conferences but overall, I’m pretty happy with my practice. Juliana: How do you keep everything you do in balance? Alan: Astrology has made me a more balanced person than I otherwise might have been. Whereas writers are often isolated, astrologers must tune into people. I’m grateful to the many clients I’ve met, especially those who’ve also become friends. This balance is reflected in my days. My mornings are for writing, my afternoons for astrology, and evenings for music. At this rate, I’ll never retire. Juliana: And the world will be a better place for that! Thank you, Alan, for sharing such wisdom. Alan Annand is an astrologer, palmist and author of several mystery novels. He is a graduate of the British Faculty of Astrological Studies, and holds Level II ACVA certification in Vedic Astrology (Jyotish). 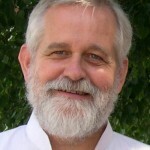 You can learn more about his consulting practice at www.navamsa.com, or about his writing at www.sextile.com. Juliana Swanson is a registered nurse (RN), healer, astrologer, mother, and wife. She runs her astrological consulting and holistic healing practices, which combine polarity therapy and rebirthing-breathwork, from her home office on Hawaii’s Big Island. In addition, she tutors Vedic astrology students both individually and as an online instructor for the American College of Vedic Astrology and the International Academy of Astrology. Juliana qualifies as an ACVA and CVA Level II certified Vedic Astrologer, receiving two titles of excellence: the Jyotish Visharada, CVA and the Jyotish Kovid, CVA. Additionally, in 2012 she was awarded the Jyotish Kovid from the ICAS, Bangalore, India. Juliana may be reached by phone at her Hawaii office 808-430-5989, by email at Juliana@AstralHarmony.com or through her website www.AstralHarmony.com.